How to use facebook safely? Facebook is really an ultimate social platform to share with people that what’s going on in your mind. Sharing photos, videos and personal content is a common thing in this highly popular social networking site but social media abusers is this platform as a tool for stalking and harassing their victims. The cases of online bullying have been increased with the day by day increasing popularity of facebook. Well, you can protect yourself while using facebook through proper use of privacy settings. You should set the privacy settings at the highest level and add only those people in your friend list whom you trust really. Secondly, never post your personal information in facebook; for instance, you would be interested to tell your friends about your upcoming fun trip or your next week planning but you should control your excitement to tell the whole world that you are going out of your home. This can alert the people who stalk you; it’s better to post any update about your trips after coming back from the trip. You can freely use the options of blocking someone on facebook, choosing the audience community for your posts and hiding your location etc. The precaution which you are advised to take on one social network is equally applicable upon another social networking media. 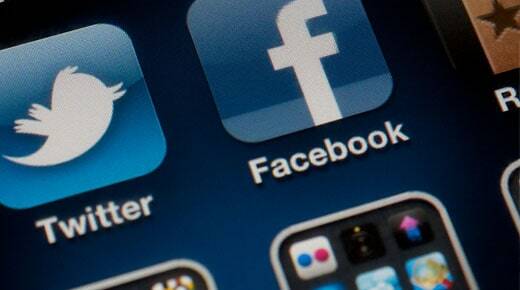 You should protect your tweets on twitter by changing your privacy settings. Also, disabling the location is a good idea for keeping others away from tracking your location. When you change your privacy setting, you become capable of approving only particular people to follow you. Similarly, you can turn off the location setting to keep the information about your location secured. The option of blocking or reporting someone is available in twitter too. So, you know a lot about social media security now. Hope, this will help you to do smart social networking online.